I love to entertain, but often find myself scrambling to find something that’s unique and low maintenance to serve my guests. 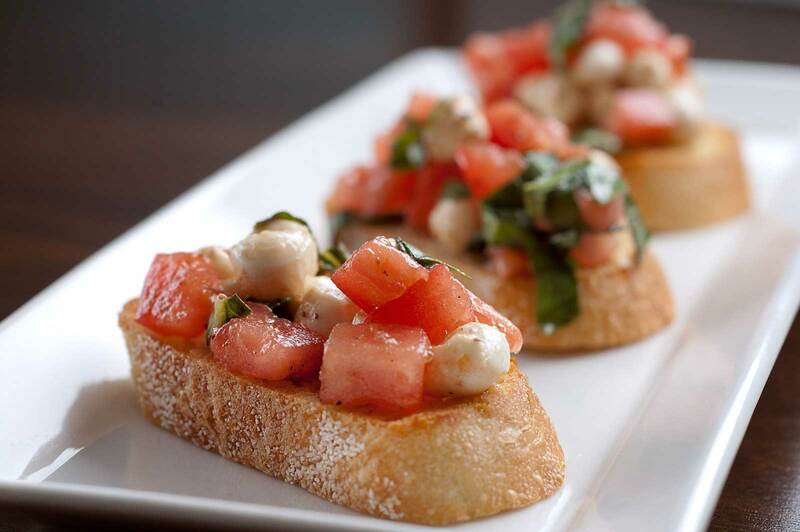 Bruschetta is both and pairing it with a light-to-medium-bodied white wine or Prosecco will compliment these airy hors d’oeurves without overpowering their delicate flavors. Chianti and Sangiovese are also good options for the tomato and garlic-based bruschettas. First, slice a baguette into thin disks to make crostinis, brush with extra virgin olive oil and toast. Optional: After toasting, rub crostinis with garlic cloves. Then top with any of the following sweet and savory combinations, add salt and pepper for taste, and serve.